But for daily bread enough to get by. Your servant I am Lord, lowly and meek. For those that I love and myself to be fed. Oh Lord I do, yes Lord I see. 'Tis by Your hand that they are fed. Neither toil nor spin they accept Your yield. On fowl and field am I less of a thing? And for those I love, is that too great a task? 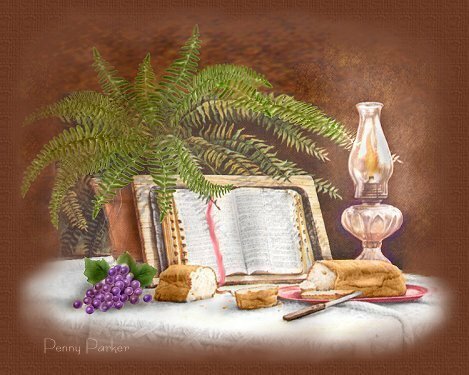 The promise of daily bread. and so dishonor the name of my God."